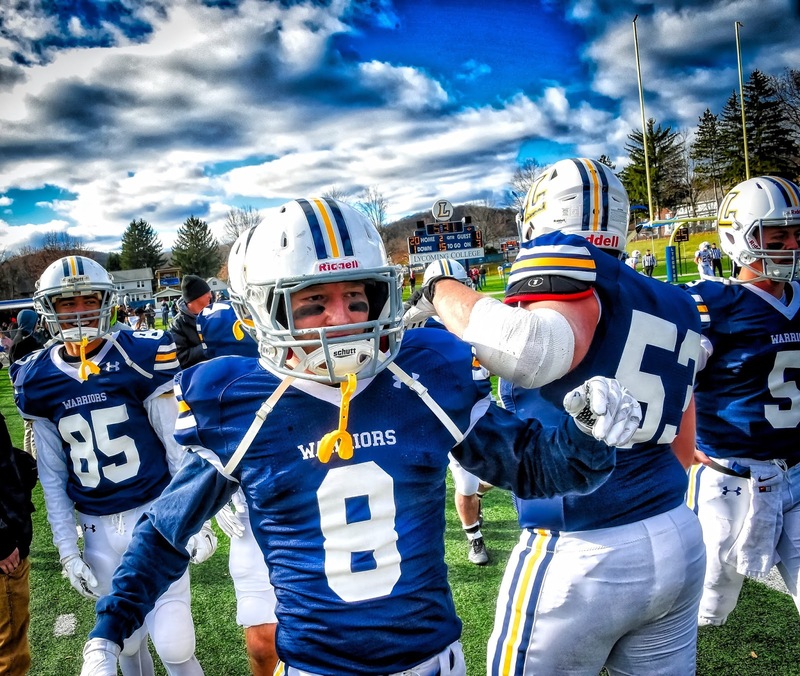 WILLIAMSPORT, Pa. – Lycoming College junior Austin Mital (Ginter, Pa./Moshannon Valley) and seniorRyan Umpleby (Forest Hill, Md./Fallston) each earned a slot on the Academic All-MAC football team, the conference office in Annville, Pa., announced on Friday, Jan. 22. The honor is the first in Mital’s career, while it is the third in Umpleby’s. Umpleby picked up his second First Team All-MAC receiving honors after finishing second in the MAC with 980 receiving yards and seven receiving touchdowns. The team's top deep threat, he caught 55 passes for a league-best 17.8 yards per reception for receivers with more than 20 receptions. He finished his career by becoming the first receiver in program history to post more than 200 receiving yards in back-to-back games, notching 207 in a 43-42 win over 19th-ranked Delaware Valley before posting a school-record 241 in his final game against Misericordia. Umpleby led the MAC with 1,736 all-purpose yards, the second-most in school history. A three-time member of the MAC Academic Honor Roll as a marketing major, Umpleby also finished his career third with 2,621 receiving yards, fourth with 166 receptions and fourth with 21 receiving touchdowns. His 4,148 all-purpose yards are also fourth in school history and his 1,212 kick return yards are third. He is the first player in school history to earn Academic All-MAC honors three times in a career, also picking up the award in 2013 and 2014. Mital helped stabilize the offensive line, as the junior earned Second Team All-MAC honors in his first full year as a starter. A left guard, Mital started nine games, helping the team average 28.2 points per game, roll up 1,825 yards, the fifth-highest total in school history, and 3,806 yards of total offense, the fourth-highest total in program history. The physics major also earned his second spot on the MAC Academic Honor Roll. The Academic All-MAC teams recognize the top student-athletes in each sport, as it equally weighs academic success (with a minimum GPA of 3.2 required in the fall 2015 semester) and academic success. The MAC sports information directors nominate and vote for the Academic All-MAC teams. The Warriors finished the season 4-6 overall and 4-5 in the MAC under eighth-year head coach Mike Clark. 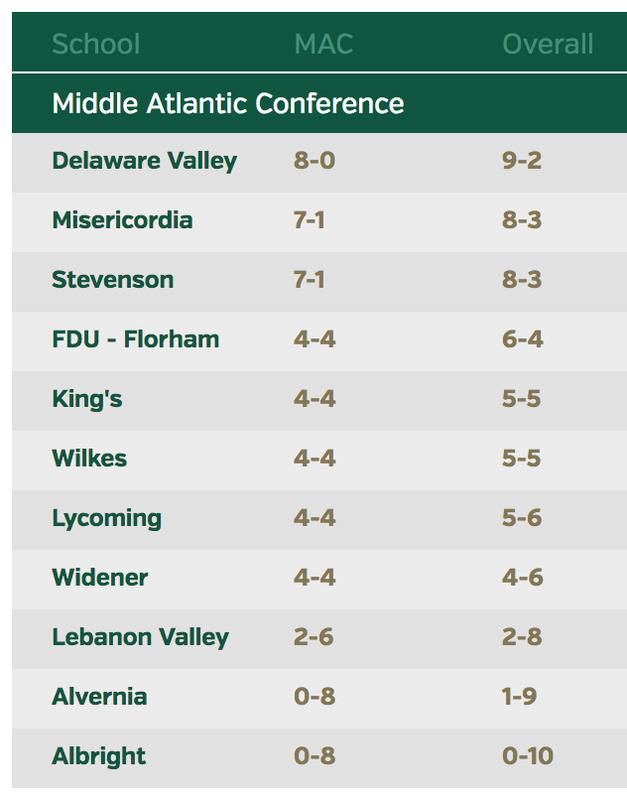 The team won the last two games of the year, including a 42-41 win over 19th-ranked Delaware Valley.